The Seaga Infinity 5S (INF5S) Snack Vending Machine is Seaga's newest snack vending machine and it's packed with tons of great features. It is ADA Accessible, telemetry ready, has energy saving settings, utilizes scrolling pricing, dual coils, and much, much more. This snack machine offers 5 removable, adjustable shelves to house the many different snack / candy selections. It contains a dollar bill validator which accepts $1 & $5 bills. It has a state-of-the-art coin changer which will accept nickels, dimes and quarters. It is ruggedly built for high-traffic indoor locations and uses over-sized motors and field-proven electronics and controls to ensure reliability. This snack machine also has the capability to vend more than one selection per purchase. 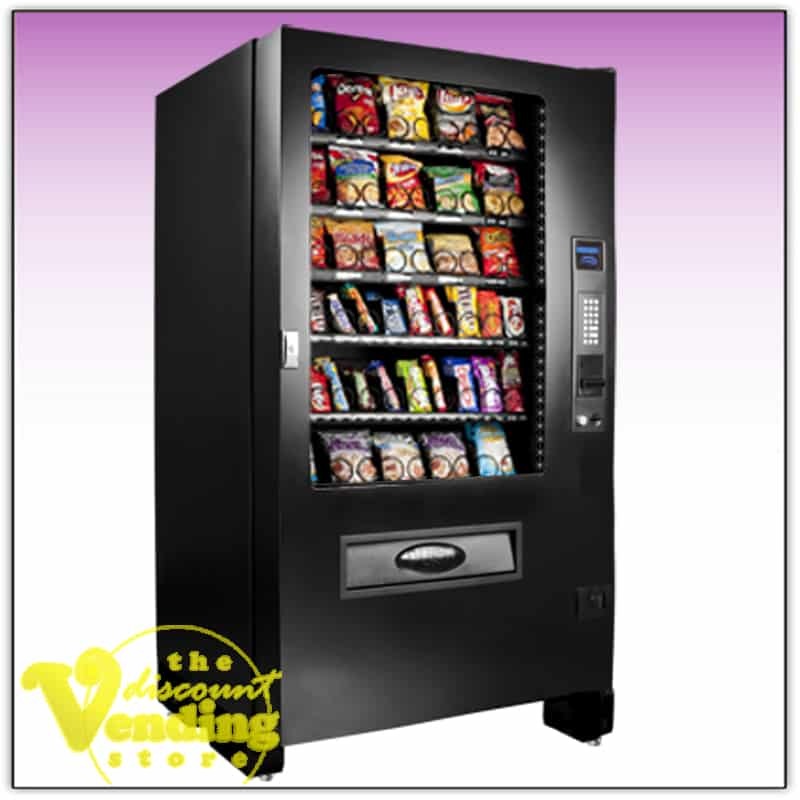 The Infinity Snack Vending Machine is manufactured by the Seaga Manufacturing, Inc., for whom we are Official Distributors. Some of the upgrades which can be added to this machine include a credit card reader and Smartware software. The credit card reader not only allows your customers to purchase product with a credit / debit card, but it also allows you to download a sales log remotely without ever leaving your home. The Smartware software is a program that can be downloaded to your computer allowing you to set-up all the prices, temperature settings, energy savings options, etc. You can then save these settings to a smart card which plugs into the control board to upload these settings in a matter of seconds. This makes the configuring of the machine on-site very fast and efficient. Troubleshooting can also be accomplished easily using this technology. All of these options can be added to any snack machine purchase for a small addition fee. This 5-wide snack vending machine will ship directly to you from the manufacturer and will include a full one year warranty on all the parts. A lifetime of technical support and assistance is also available to you as long as you own the snack machine. Two sets of keys, as well as the owner's manual, will be included with each snack vending machine purchase.